Nothing is cooler and more refreshing than an iced coffee. In fact, some of the biggest and best chains in the nation originated in California. 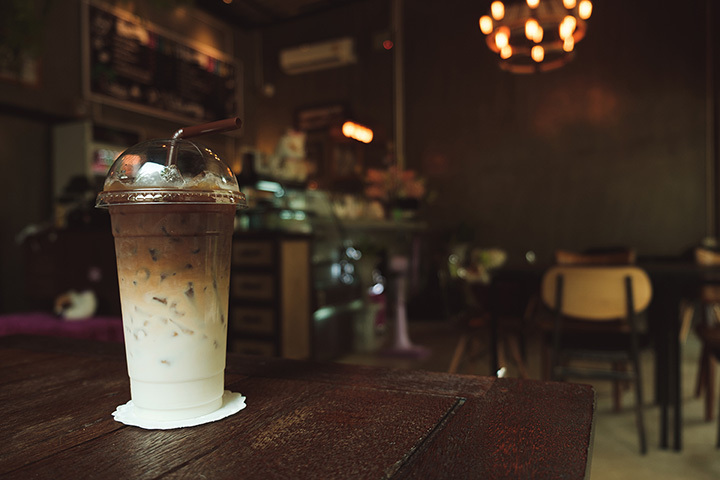 From brands you may know to those that are local hangouts, check out some of the places where you can wake up without heating up. Blue Bottle Coffee has pretty much taken over the iced coffee world, but it began in California. You can stop into the original store or some of the offshoots if you find yourself in in the Bay Area or LA and then you can taste the stuff as it was meant to be enjoyed—freshly brewed and chilled. Coffee Bar Society has three locations in San Francisco where you can hang out in the modern café space to work or socialize as you sip on a refreshing iced coffee. Go for the cold brew on tap or try a horchata for a flavorful twist on the cinnamon, rice and vanilla standard. Foundation Café has good eats but also really good iced coffees. Try a cold brew or make it a little more interesting with an iced cappuccino carefully herbed, flavored and foamed. Philz Coffee has gone nearly national with its hip coffee fronts but it still makes some of the best some of the iced coffee you’ll ever have. Check out the original Philz in the Mission District and discover how the small storefront became such a big deal for coffee lovers. Tierra Mia is an LA based chain that features Latin-inspired frappes like horchata as well as the basics. The new chain roasts its bean in stores, which pair perfectly with the house-made pastries that make delicious accompaniments and has been named amongst the best coffee places in the city. The iced Vietnamese coffee is a favorite, but the bright café offers a lot more options as well. Chill out for a bit in the original Little Tokyo café or stroll around and enjoy the hustle and bustle of the neighborhood. The Iced Almond Macadamia Nut Latte at Go Get Em Tiger in LA’s Larchmont Village neighborhood has been ranked amongst the nation’s best by the New York Times. It’s impressive, considering how little respect the West Coast often gets for its food and beverage offerings. Revolution Roasters is trying to start a coffee revolution, as the name suggests. Located in the small town of Oceanside, Revolution Roasters packs a lot of flavor into each small batch of beans that are roasted in house for the best iced coffee experience. At Sleeping Tiger Coffee, you’ll find a selection of iced lattes along with a cold brew. Opt to add a house-made syprup if you like your iced coffee flavored or try a non-dairy milk. Dark Horse Coffee Roasters has a few locations to keep you caffeinated in sunny San Diego. Knowledgeable coffee fiends can talk you through the process of choosing your beans for a delicious iced coffee.